The Energy and Climate Partnership of the Americas (ECPA) was the outcome of U.S. President Barack Obama's call for a collaborative effort to mitigate the effects of climate change across the western hemisphere. ECPA was an umbrella of initiatives that partner public, private, and academic organizations to promote sustainable development, the use of alternative energy, and the elimination of poverty. APA petitioned the State Department to conduct an ECPA initiative, firmly believing that urban and regional planning can play a key role in achieving core objectives. 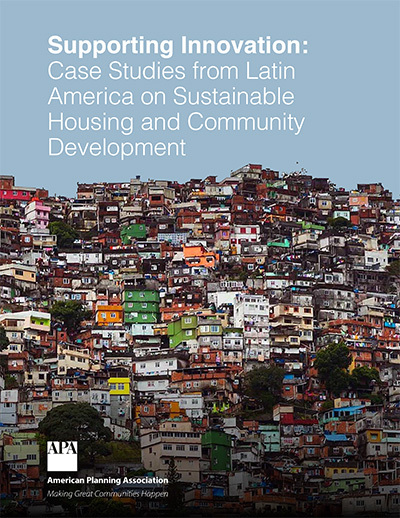 This report discusses technical assistance projects selected and led by APA's International Program team, and supported by an award from the U.S. Department of State's Energy Climate and Partnership of the Americas (ECPA) Initiative. Learn how APA's demonstration projects overcame planning and governance challenges and how APA provided strategic technical assistance programs that guided each organization through critical phases of their projects. 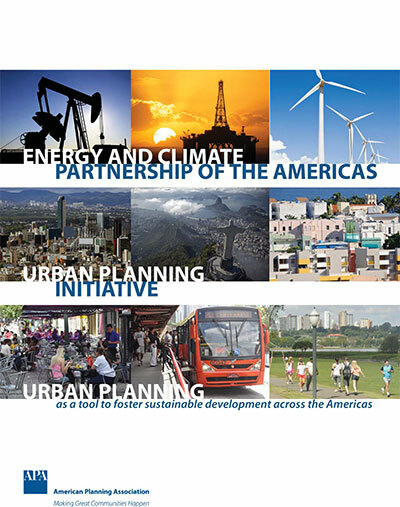 Learn how planners are at the forefront of a movement to build energy efficient, livable communities of value throughout the Americas. By partnering with APA, the Department of State recognized that comprehensive planning is a key requirement to address a variety of issues including cultural and environmental conservation, energy and climate change, housing, and economic opportunity. Our mission is to promote urban planning as a tool to foster sustainable development across the Americas.